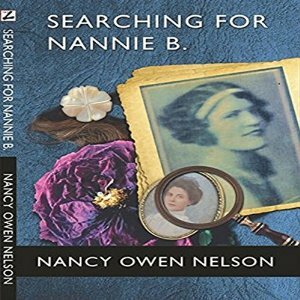 Lee Ann is pleased to announce her latest recording, Searching for Nannie B.: Connecting Three Generations of Southern Women by Nancy Owen Nelson, is available at Audible. How would you be affected if your mother died giving you life? And how would such a loss affect your children? These questions are the foundation of many issues raised by the author in her search for the missing pieces of a grandmother who in 1905 died giving the author’s mother life. It was a tragedy that seemed to affect multiple generations, the voids in identity and ill-spent guilt flowing from the stream of blood that kept mother from daughter, and then from granddaughter. But it was a search well-spent. Nancy Owen Nelson’s search resulted in raising more questions about herself, even as it answered questions about her mysterious grandmother. Nonetheless, in the end her journey toward discovery was one of startling self-awareness and connection. No matter whether you feel connected or lost in family, you will be unable to avoid the heartfelt pleasure and pain that comes from the author’s brave attempt to connect three generations of Southern women. You may listen to a sample and/or purchase here. Posted by lahowlett on March 31, 2016 in Uncategorized and tagged Audible, audiobook, biography, memoir, Nancy Owen Nelson. Congratulations on your latest recording!